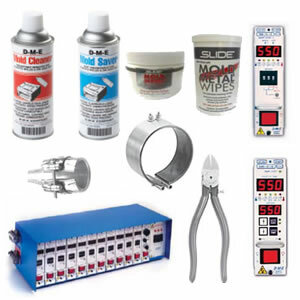 DME is an essential supplier to its Worldwide customers. DME offers the Industry’s largest range of market leading products unsurpassed Quality and expertise, a Global logistics infrastructure that ensures prompt delivery and a support network unrivalled for its ability to assist customers when and where they need it. A complete line of Production Supplies, Hot Runner Systems, Temperature Control Systems, Mould Heating and Cooling products, Mould Bases and Components, Mould making Equipment, together with technical backup and support helps DME customers compete every step of the way.